The djembe, a West African drum, is a lot of fun to play and is being taught by only one institute in Mumbai: we tell you where. The Djembe is a drum which comes from the regions of West Africa. It’s extremely light and easy to carry around, but more importantly, is quite easy to learn. 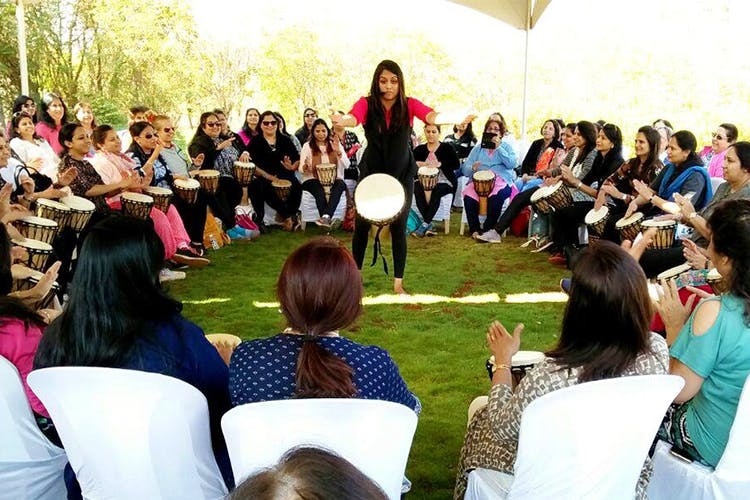 Classes are taken by Taal Inc., a company from Pune which conducts classes in Mumbai for those who want to learn the drums, the percussion and of course, the djembe. They have the beginner levels here, each module being eight weeks long. It’ll only take an hour out of your week, and you can visit even after work at Temperance studio in Bandra. Here, it takes place every Wednesday from 7.30–8.30pm. Not in the central side of town? Join the classes every Saturday from 6–7pm at the Kolak Institute of Performing Arts in Vashi. They provide you with the drums, so you needn’t worry about buying an instrument, at least not at the beginning. The classes are priced between INR 4,500 to INR 5,000 a month, excluding tax. An hour a week, and a drum skill to boast of. You can surprise your friends and family with a new skill. We think it’s worth it, and you?